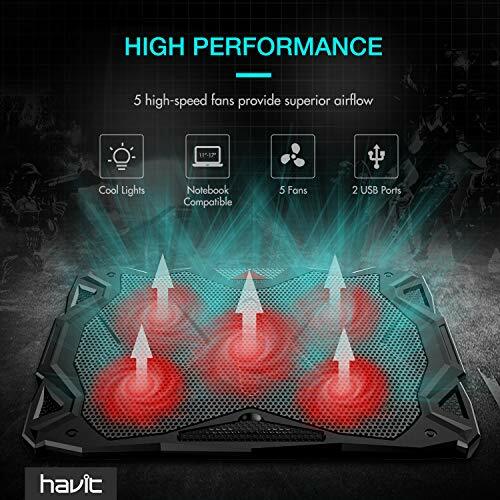 View More In Cooling Pads & External Fans - Page 2. 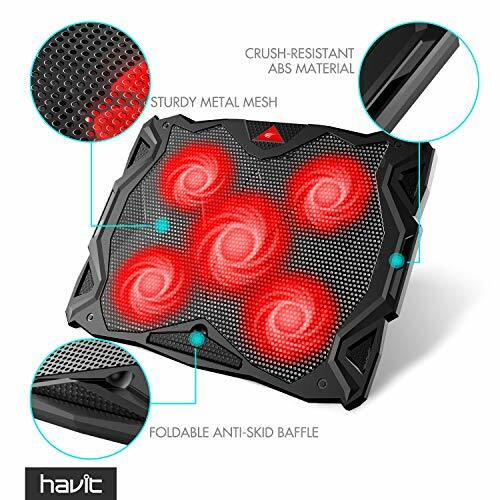 All HAVIT products are built to the highest quality standards and we stand behind our products with a full 1 year manufacturer's warranty. 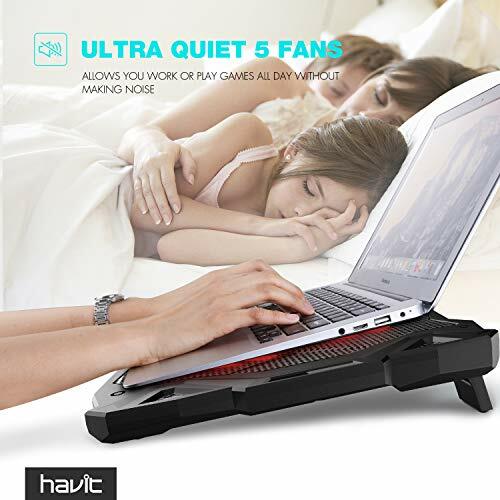 5 Quiet fans create a noise-free & interference-free environment for you. 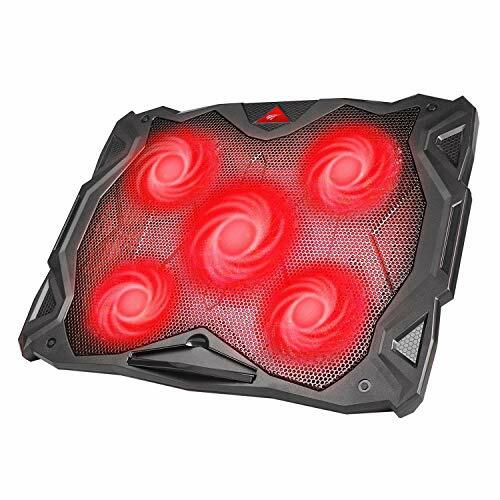 Provides total 65 CFM of air flow to draws heat away from your laptop. 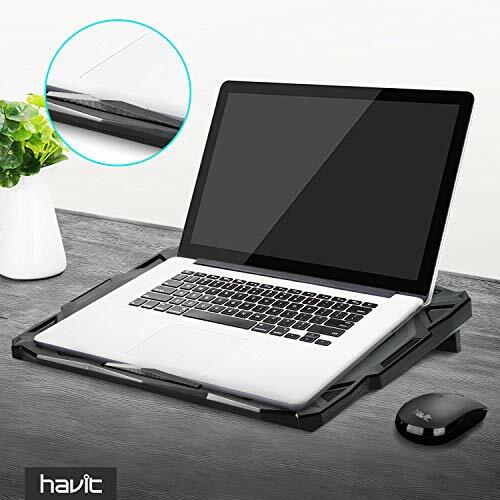 With the help of ergonomic design and adjustable height setting, the HAVIT HV-F2068 laptop cooler provides you with the most relaxing incline angle for all-day viewing. 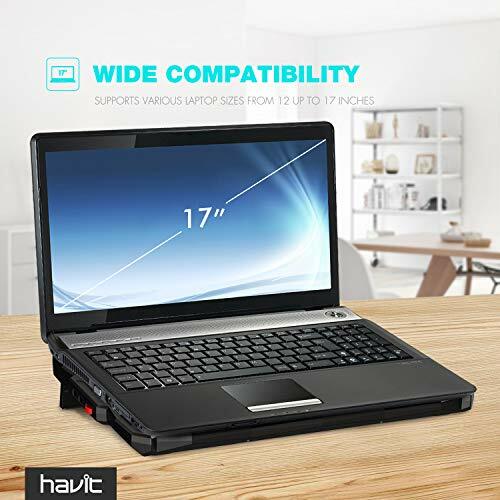 Need extra USB ports while using HAVIT HV-F2068 laptop cooler? Just plug it into one of the two USB ports on the laptop cooler. 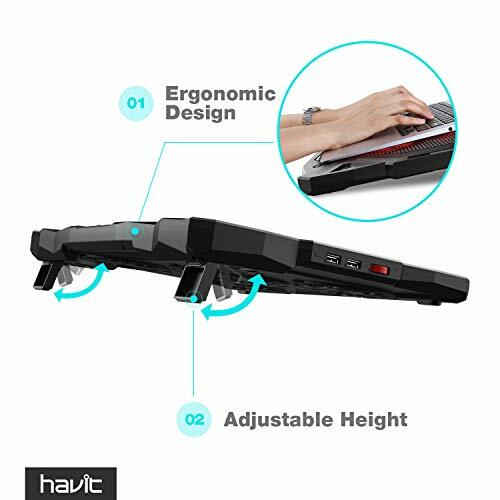 Ergonomic Comfort: Build with big non-slip baffle, effectively prevent laptop slipping off; Adjustable height to meet different needs when working or playing game, comfortable for natural point of view. Build with high-quality metal mesh draws heat away from laptop, reliable. 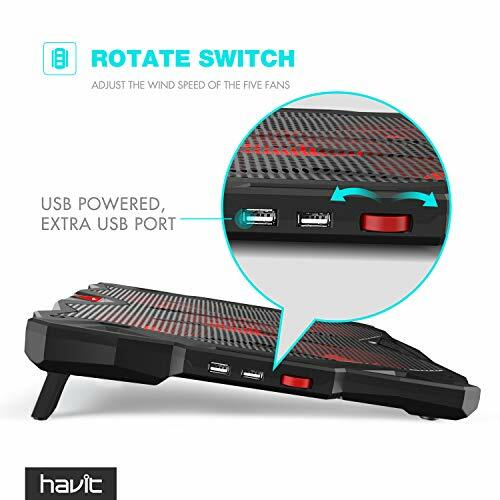 30-Day Money Back Guarantee & Full 1 Year Manufacturer's Warranty & Free Lifetime Technical Support.Warm Tips: The packaged cable is USB to USB connection. Type C connection devices need to prepare an Type C to USB adapter ..Warm Tips: The packaged cable is USB to USB connection. Type C connection devices need to prepare an Type C to USB adapter . 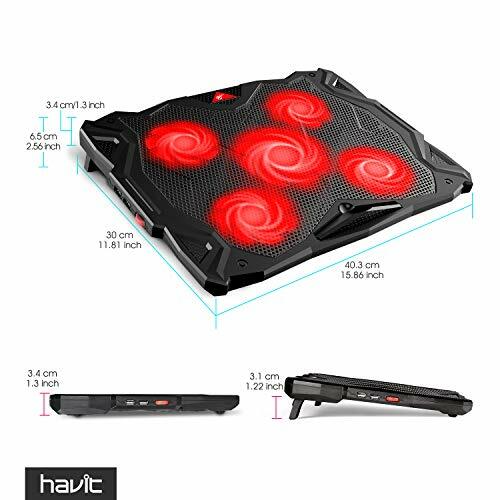 If you have any questions about this product by Havit, contact us by completing and submitting the form below. If you are looking for a specif part number, please include it with your message.